The global economy has been quietly evolving since the election of Donald Trump when yield-thirsty investors began pouring money into the US market. Following a US Fed rate hike in mid-December, the Dow hit a record closing high of 19,975 and the US dollar index has hovered around the 103 level since, its highest reading since 2002. This is in sharp contrast with the performance of the Chinese stock markets and the yuan. Given Trump's campaign rhetoric, he is likely to push for more rate hikes as well as trade protectionism and tax cuts after assuming office. He will probably also seek to bring jobs back home and attract foreign investment and finance new infrastructure construction. Trump's economic plans are certain to have a huge impact on the Chinese and global economy. First, a stronger dollar will be a crisis for many countries. Historically, whenever the dollar index is above 100, economic bubbles in other countries tend to burst. The stronger dollar will also deplete China's foreign exchange (forex) reserves and induce imported inflation in China. Moreover, if the US goes on an infrastructure construction spree, demand for global bulk commodities will rise, which will push up prices and add to imported inflation pressure on China. But the biggest threat is Trump's plan to cut corporate income tax to 15 percent. Global liquid capital is already flowing back to the US and with its economic prospect picking up, a massive tax cut as well as high earnings expectations, capital will further rush to the US. If China is not well prepared, capital will flee the country, putting pressure on the yuan's value and straining liquidity in the domestic currency market. Trump's economic policies are not without flaws, and actually conflict. Rate hikes could hurt the US economy. Trump may issue treasury bonds to finance massive infrastructure renovations. Bonds and bank notes issues must be kept at a reasonable level. But if the US runs a high level of treasury bonds, its foreign creditors may worry about an increase in bond issuance and reduce US bond holdings. A stronger dollar, US exports and an increase in treasury bonds issuance are contradictory. The outcome would be compromised or failed policies. Currently, China's economy still lags behind the US and that gap is widening as the dollar strengthens and the yuan weakens. To stabilize the yuan exchange rate, China has consumed nearly $600 billion worth of forex reserves to defend the yuan's value. It can be expected that China's fight to steady the yuan through dissolving its forex reserves will be a prolonged battle. 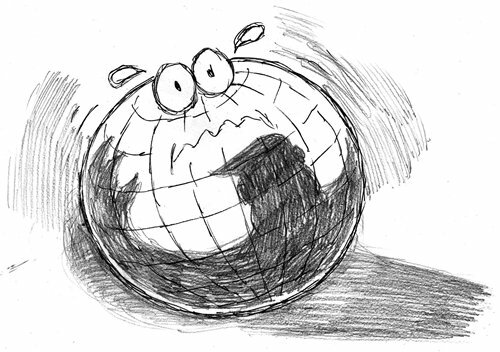 Apart from trade protectionist measures, a heavy tax burden, rising production and labor costs as well as the fact that technology level, quality and design of Chinese products has yet to improve are eroding the competitiveness of Chinese exports. So what are China's policy options? First, China needs to mop up the excess money supply and deleverage to reduce the debt level of the corporate sector. But to avoid bursting a bubble and causing an economic recession, China should increase liquidity at an early stage to help firms gradually lower leverage. The country should also speed up the reform of the capital market and expand its size to absorb the excess money supply and address financing demand of firms. According to the Chinese Academy of Social Sciences, China's total debt-to-GDP ratio, which covers government, corporate and household debt, stood at 249 percent at the end of 2015, while the government debt-to-GDP ratio was 57 percent. Given that the government debt-to-GDP ratio is not high, there is still scope to issue government bonds. Furthermore, US trade protectionism may put appreciation pressure on the yuan, which would help stabilize the rate. A steady exchange rate will let China increase the quota of treasury bond issues and implement a more proactive fiscal policy. In addition, the country could cut the tax burden on businesses. If the US cuts corporate income tax, China should respond by creating a tax-friendly environment to lure foreign investment and turn the country into a haven for global funds. Given that declining human resources as well as rising labor costs in China have compromised competitiveness of exports, the government and companies should make a greater effort to attract foreign talent. Chinese firms should set up research and development centers abroad and hire local science and technical workers to develop high-tech products and compete in the technology frontier. China could also set up manufacturing centers in populous regions such as Eastern Europe, India, Pakistan and Nigeria to take advantage of the local low-cost labors and reduce manufacturing costs. Lastly, the Belt and Road initiative could help increase yuan circulation and expand cross-border yuan trade settlement. A tangible demand for the yuan from foreign governments and markets would help absorb circulating yuan and reduce China's need to pay for imports with foreign currencies as well as lessen the risk that arises from exchange rate volatility.